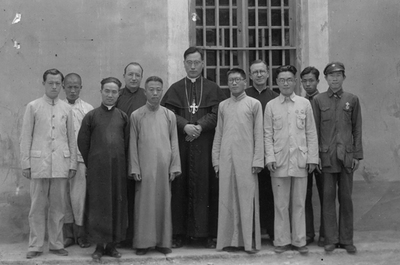 Bishop Paul Yu Bin with locals at Guilin. Guilin, China. B/W Photo.